Solar Connexion is this region’s premier renewable energy contractor. Since 1993, the business has worked installing a vast range of renewable energy systems in the mid-Atlantic region and Caribbean including photovoltaic (off-grid, grid-tie, grid-interactive with battery, and generator interactive), wind generators, and thermal systems. Owner, Bryan Walsh, helped pioneer modern renewable energy contracting as his personal experience professionally installing renewable energy systems began in the mid-1980s. He designs and oversees the installation of every job Solar Connexion undertakes. The Solar Connexion staff is a small, highly skilled, and experienced workforce whose entire focus is designing and building high-quality, state of the art, renewable energy installations. Would like information about your product. The best and quickest first step for us to understand your needs, interests, and solar potential is to complete our online Estimate Request Form: http://www.solarconnexion.com/requestform/. 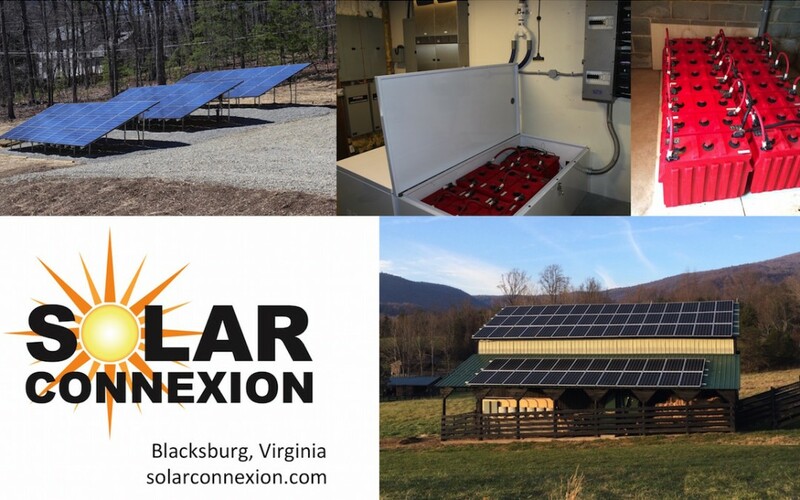 You can also email us at info@solarconnexion.com or call 540-961-5120. We hope to hear from you!